Put-in: Johnson’s Crossing Take-out: Little Salmon R. The Teslin-Yukon River was one of the routes used by the Klondike goldrushers of 1897-99 to reach the goldfields of Dawson. As such, there are historical reminders of a period that saw the movement of people and sternwheelers along banks once dotted with wood camps, mining works, and trading centers. 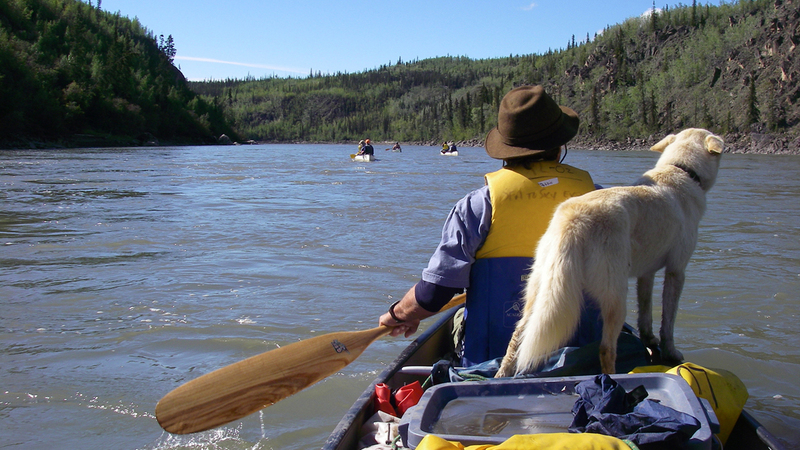 As our canoeing journey begins on the Teslin, the river is wide and the current almost unnoticeable. Before long we aretransported away from civilization and back into time. 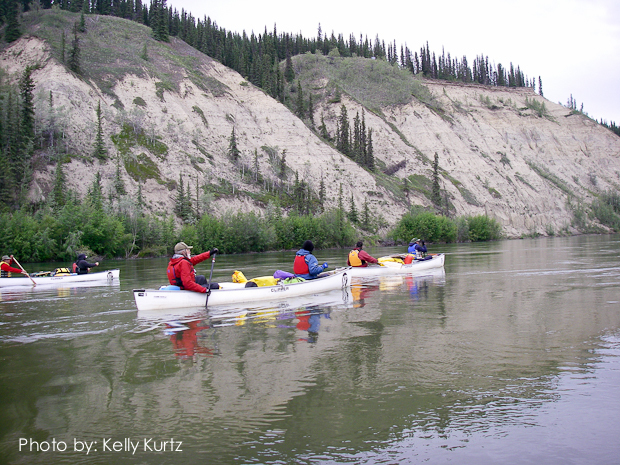 The serenity and grandness of the Yukon quickly supplants the noise, seriousness, and urgency that defines urban life. 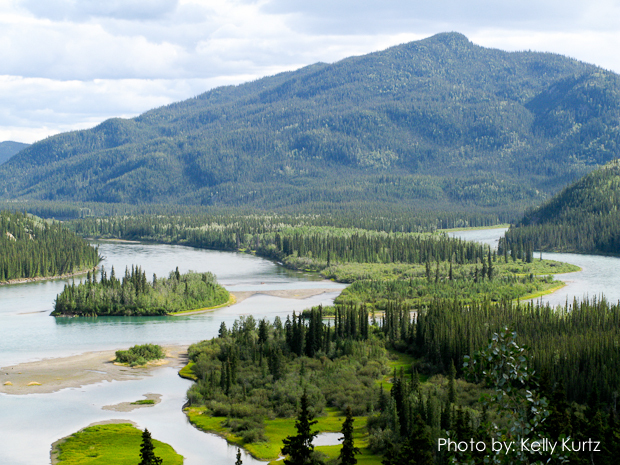 Rolling hills, spruce forests, high sandy banks, wildlife sightings, pieces of history, will define our experience along the Teslin River. 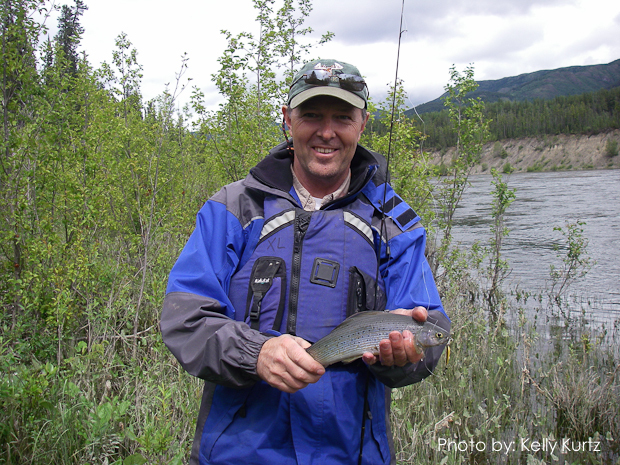 The Teslin River’s current picks up and we begin to move more quickly along its shores. 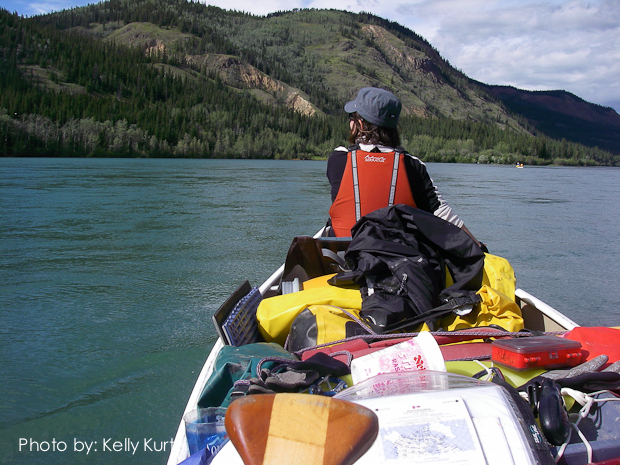 Eventually we will join the Yukon River at a place called Hootalinqua, a significant trading and sternwheeler depot during the goldrush. Nearby is Shipyard Island, where we will stop to see the derelict remains of the steamship Evelyn, laid up here in 1930. 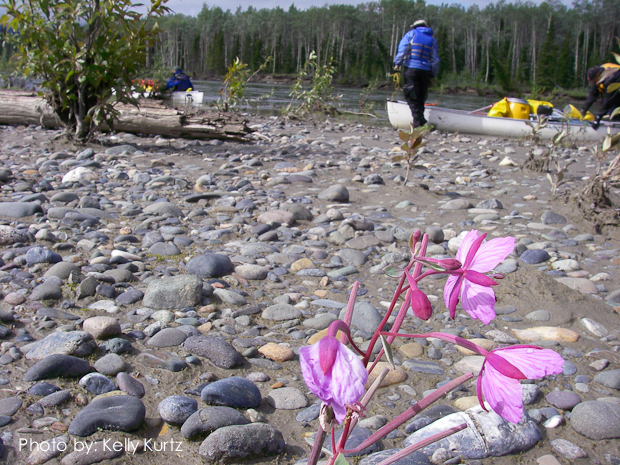 The remainder of our wilderness paddle will be along the swift Yukon River, past numerous old cabins, a gold dredge, old native villages at Big Salmon and Little Salmon rivers. Day 1 – 5: We will pick you up from your accommodation around 7:00 a.m. and head to our put-in at Johnsons Crossing. We are looking to cover about 40 km per day. Although this sounds like a significant distance, the current of the river makes this a reasonable goal. The river, in its initial stage, is wide and the current slow. At 100 Mile Creek [km 161] the character of the river changes. 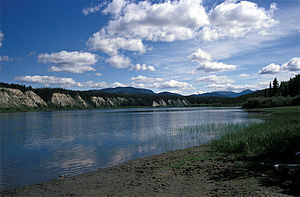 The wide open river valley disappears, the river narrows, and the willow covered marshes give way to a shoreline of spruce trees and clay banks. 100 Mile Creek: So named for its distance from Hootalinqua. It is believed that it was a supply base for the isolated community of Livingstone, site of the turn of century Livingstone Goldfields. Boswell River [km 97] to Mason’s Landing [km 30] marks another change in the river. 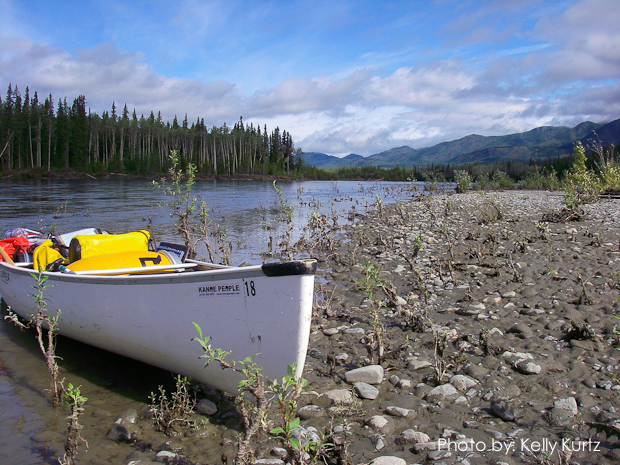 The additional volume from the Boswell, Swift and Indian Rivers results in more gravel bars and islands appearing. 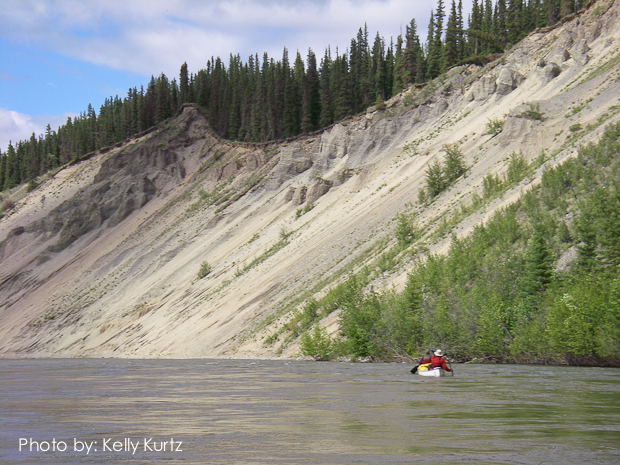 The river valley widens and large clay banks with distinctive eroded features called hoodoos become more frequent. It is in this stretch of river that we will experience “Roaring Bull Rapids”. Other than a “rush”, the rapids are not technical or dangerous. Mason’s Landing: This was the head of navigation for sternwheelers from Whitehorse that were carrying supplies for the community of Livingstone Creek. The site was maintained until the 1930s. A number of cabins remain from the period still remain. From Mason’s Landing to Hootalinqua the current increases as the river begins its final plunge into the Yukon River Valley. became the supply centre for the low-grade gold mining being carried on along the lower Teslin River in the mid 1890s. 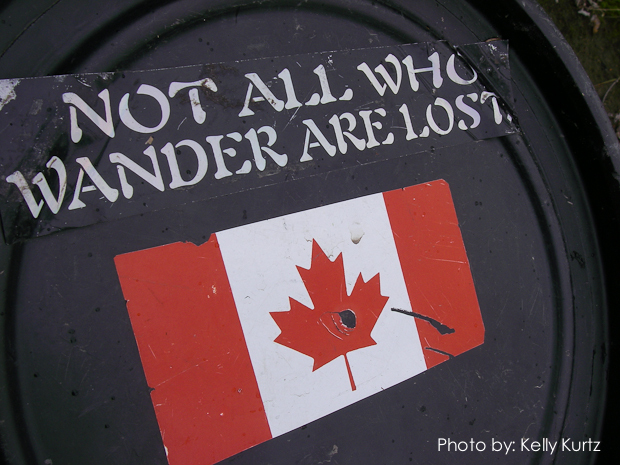 Due to its important position at the junction of the main stampede route to the Klondike and the secondary “All-Canadian Route” which went up the Stikine River then overland to Teslin Lake, the NWMP built a post here in 1898. Although the permanent population was never more than about a dozen, a telegraph station was built in 1900, and Taylor & Drury had a store in 1901-1902. Day 6-8: As the river widens out at Hootalinqua, it takes on a completely different character – calmer. At Shipyard Island we will stop to see the 130-foot Evelyn. She was built by the Bratnober Company in Seattle in 1908 – working for the Upper Tanana Trading Company and then the huge North American Trading & Transportation Company (NAT&T), she supplied the trading posts along the tributaries of the lower Yukon River until 1913. 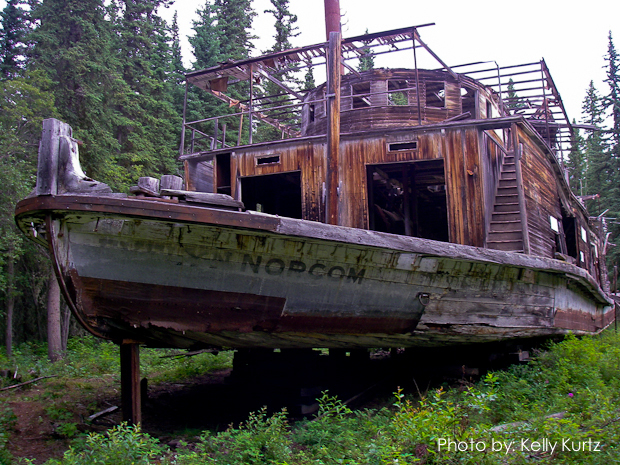 She was then sold to the Side Steams Navigation Company, who renamed her the Norcom. She may have only worked for 1 more season before being put on the ways at Hootalinqua (in 1918, she was “side-tracked” here, meaning that she would probably not be launched again). Most of her machinery was removed in the 1920s. At the confluence of the Yukon and Big Salmon rivers is Big Salmon Village. It is the site of an ancient fishing village. During the goldrush a NWMP post, telegraph station, riverboat stop, and trading post was located here. Just down river from Big Salmon are 2 small gold dredges which were used in the 1940s – the first one, built by Whitehorse pioneer Laurent Cyr and partner Boyd Gordon, is in reasonably good condition except for being toppled over into the river. 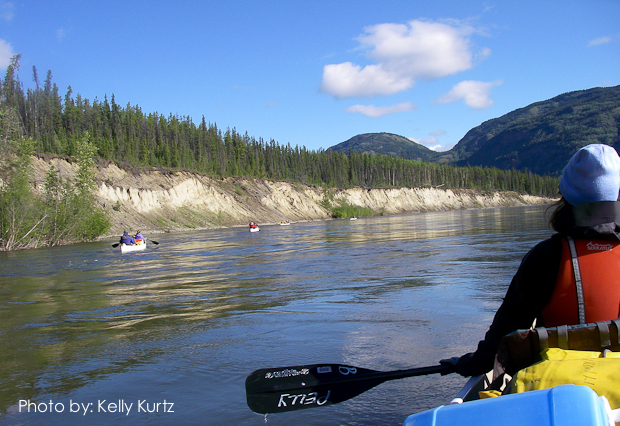 Our paddle will continue to the confluence of Little Salmon and Yukon rivers, our take out. 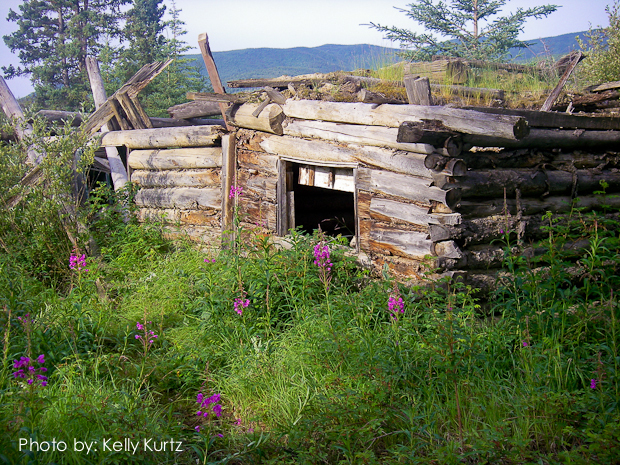 Little Salmon village is believed to be the oldest permanent Indian settlement on the upper Yukon. There is an unique cemetery here which we will stop to visit. We will be transported back to Whitehorse and should arrive in the late afternoon or early evening.